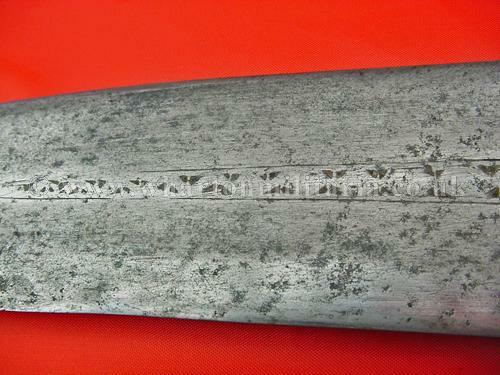 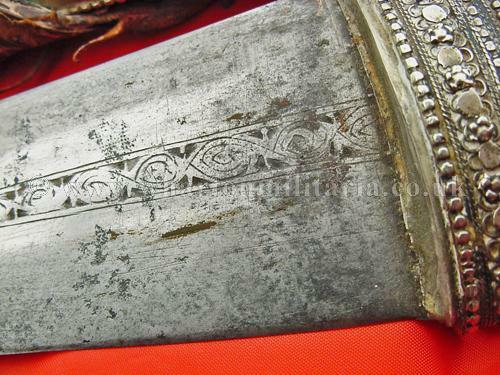 A fine example of a scarce old Arabic long Jambiya dagger from Iraq, possibly late 18th or early 19th century, found in the desert. 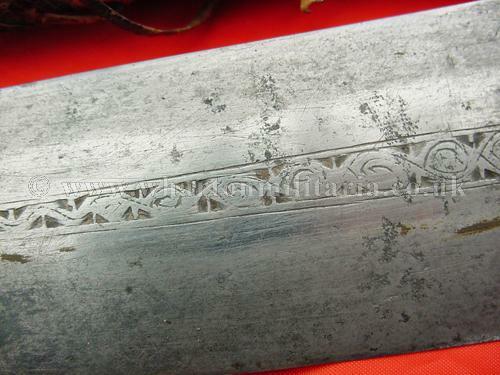 The deeply curving blade is almost 16 inches long. 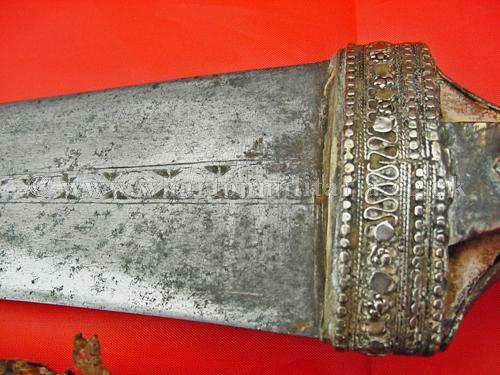 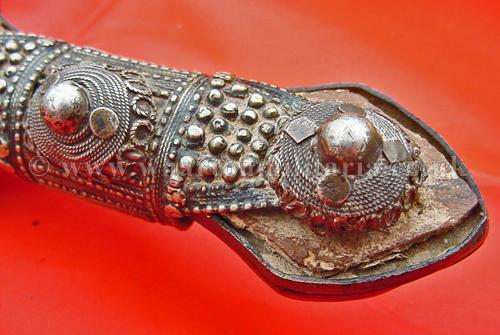 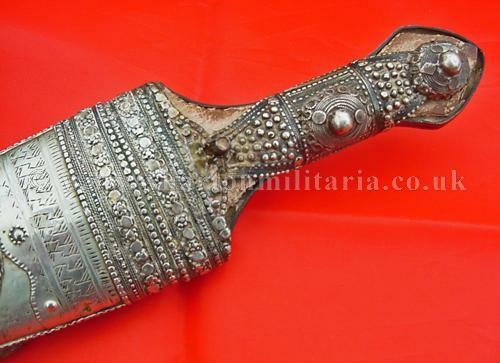 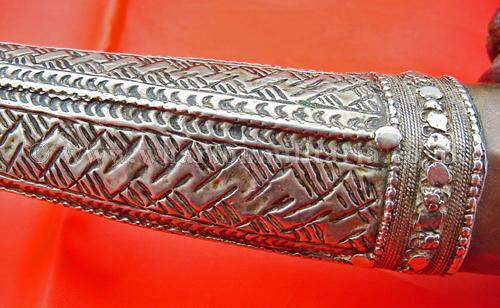 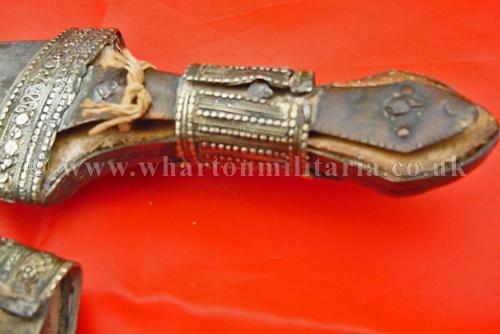 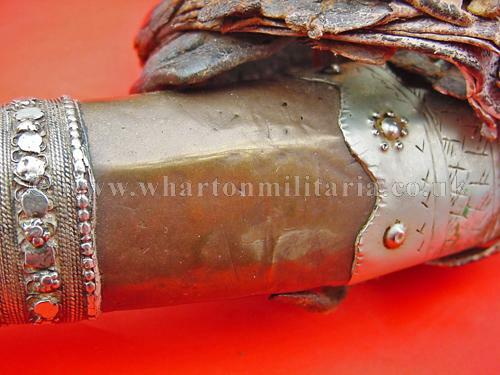 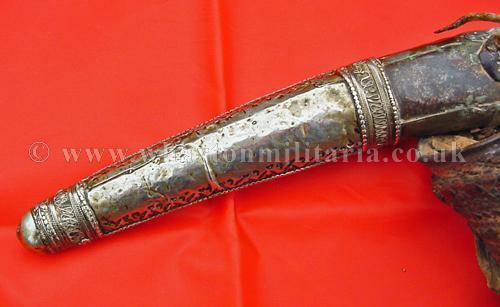 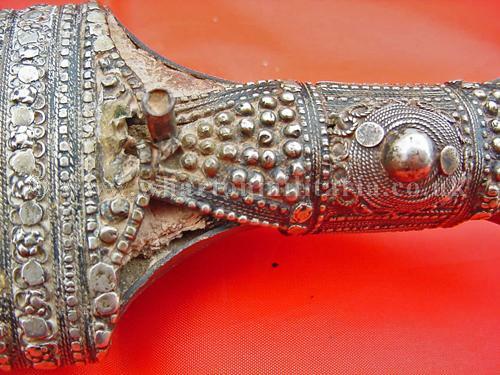 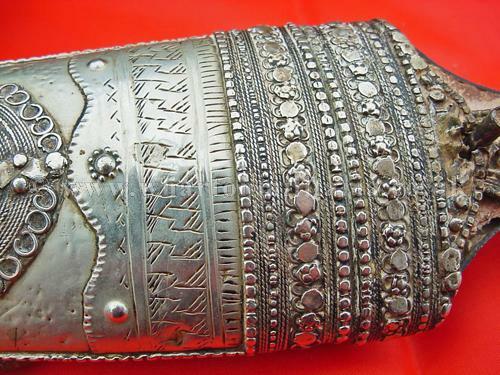 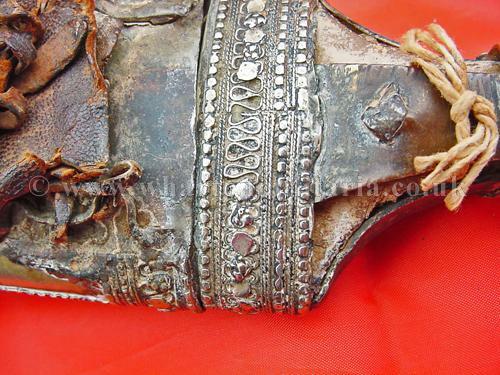 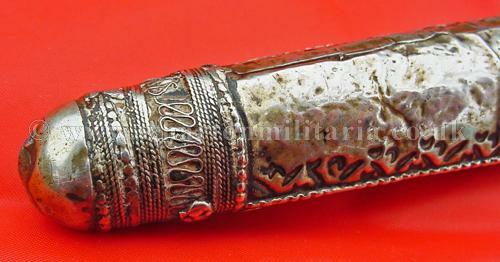 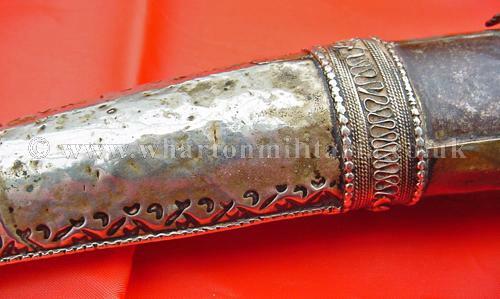 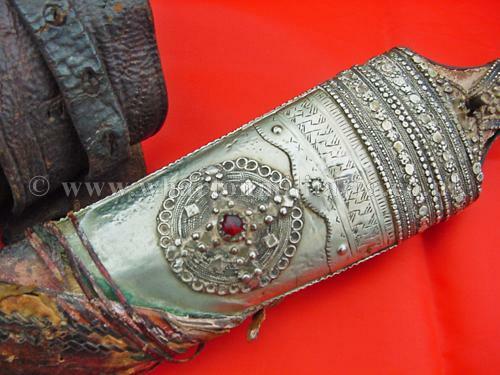 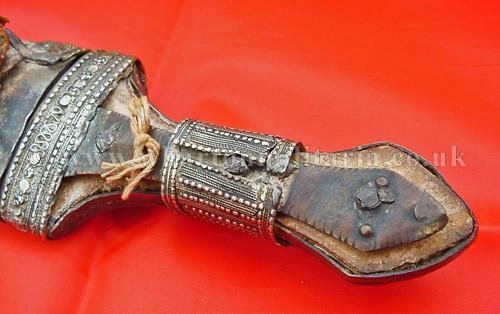 The hilt is wooden with silver or white metal fittings of intricate design. 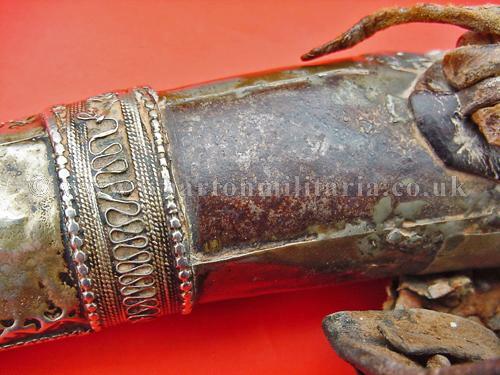 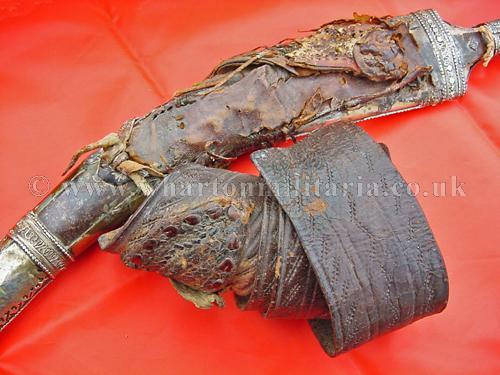 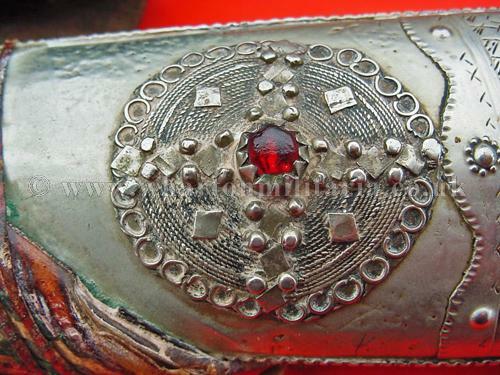 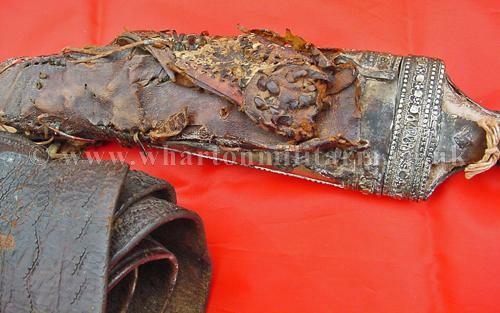 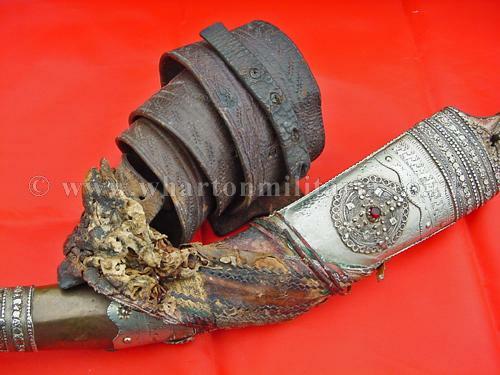 The scabbard is mounted on what appears to be a copper horn shape with decorative chased silver locket and chape set with a red ruby like stone separated by a leather band belt. 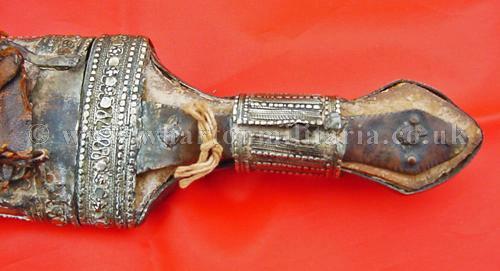 Total length approx 20 inches. 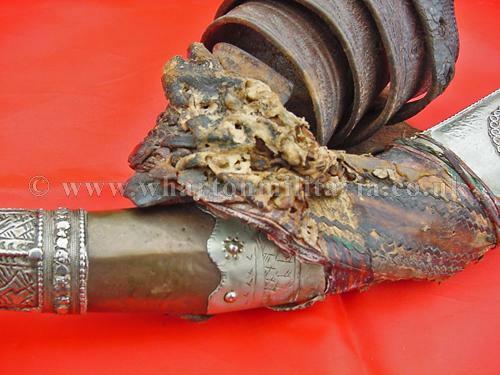 Very good condition for its age, though minor dents and wear on all the silver parts.